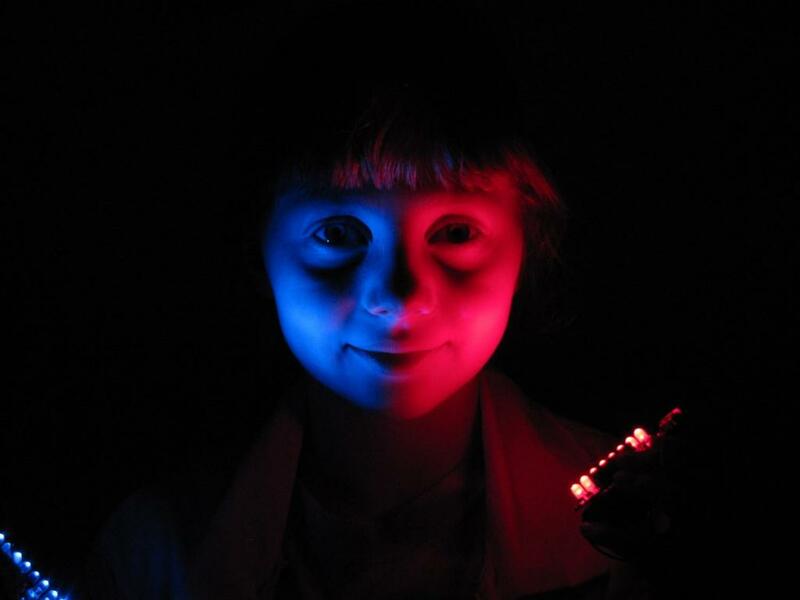 led | Sylvia's Super-Awesome Maker Show! Read more about Lilypad Heartbeat Pendant! 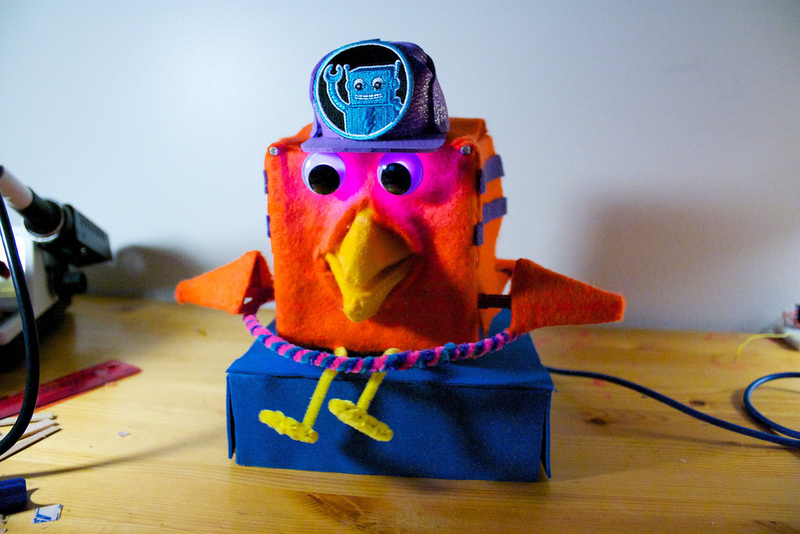 RoboBrrd started out as an interactive robot made of felt, popsicle sticks and an Arduino. 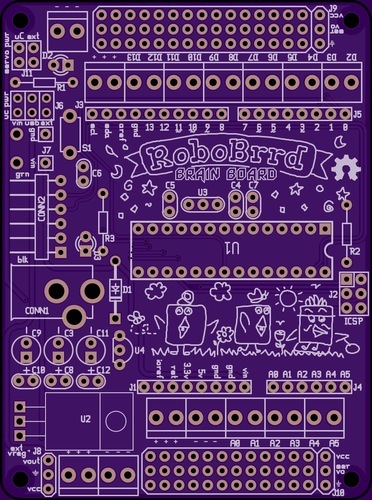 Now, Robotgrrl is making it into an easy to solder board and lasercut kit for making your very own open source RoboBrrd! The kit isn’t quite done yet (it’s hard to put together a kit! ), so I just got the wood parts that she made using the laser at Evil Mad Science Laboratories!! Muahahaha! 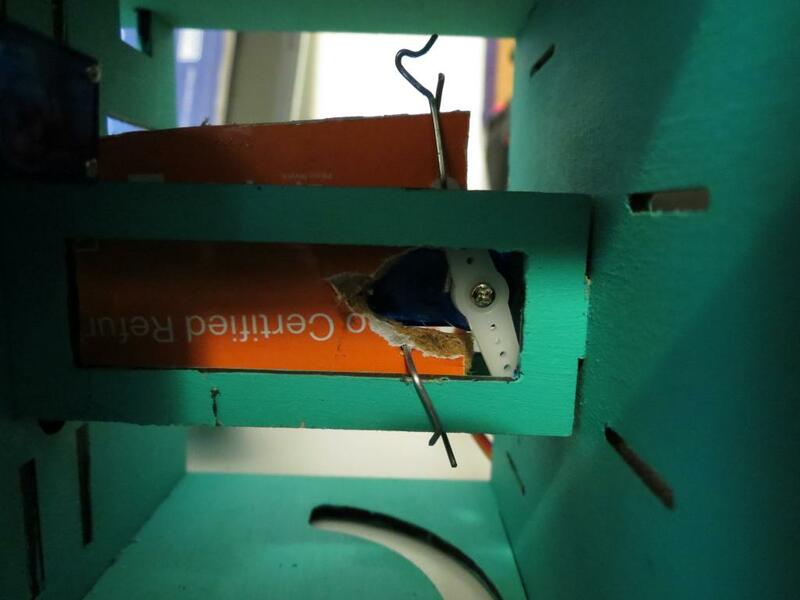 To make the wings flap, we used paper clips as armatures connected to little blue servos mounted in the rectangle holes behind the eyes. For the beak, it was a lot trickier! With the top and bottom beak parts loose, I figured out that with some cardboard and a paperclip triangle, you could keep it steady and open and close it. 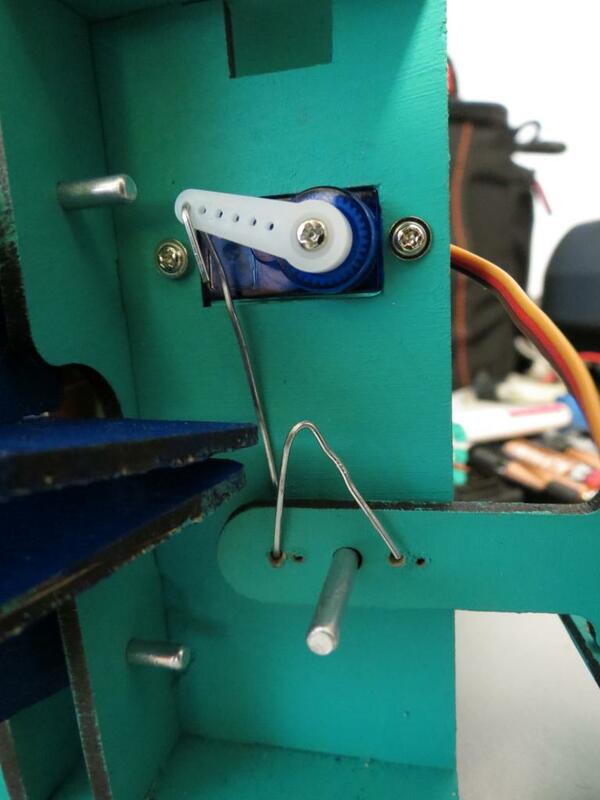 The servo at the back just pushes and pulls the cardboard. When its fully completed, I want to make my WaterBrrd say my tweets by chirping and flapping its wings twice, or have it tell me the weather and current temperature. The possibilities are endless! For right now, its flapping its wings, beaking around, blinking its eyes, and talking with an old android phone my dad hooked up. The programming was all done by me. 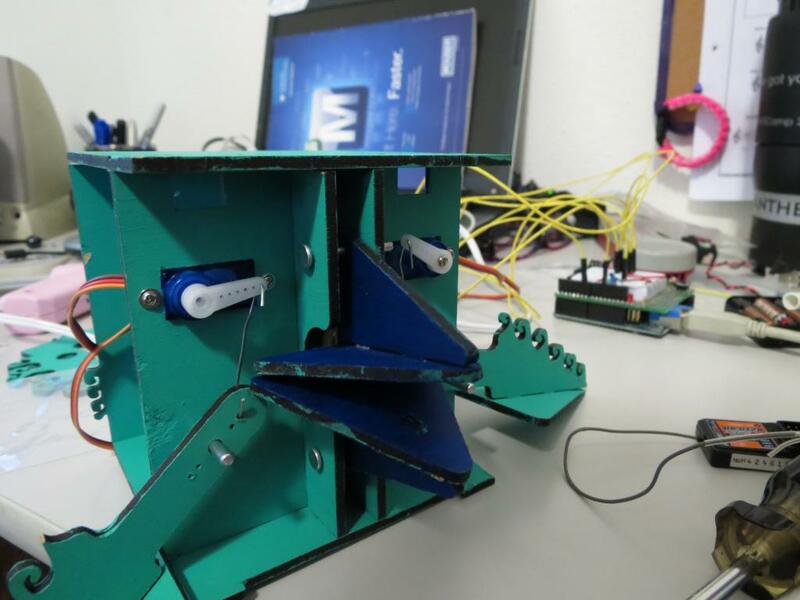 I used an Arduino Uno and programmed it very easily. It is just like scratch, except with words and semicolons. The robobrrd will be a great kit and I can’t wait till it comes out! GO ROBOBRRD!!!!! 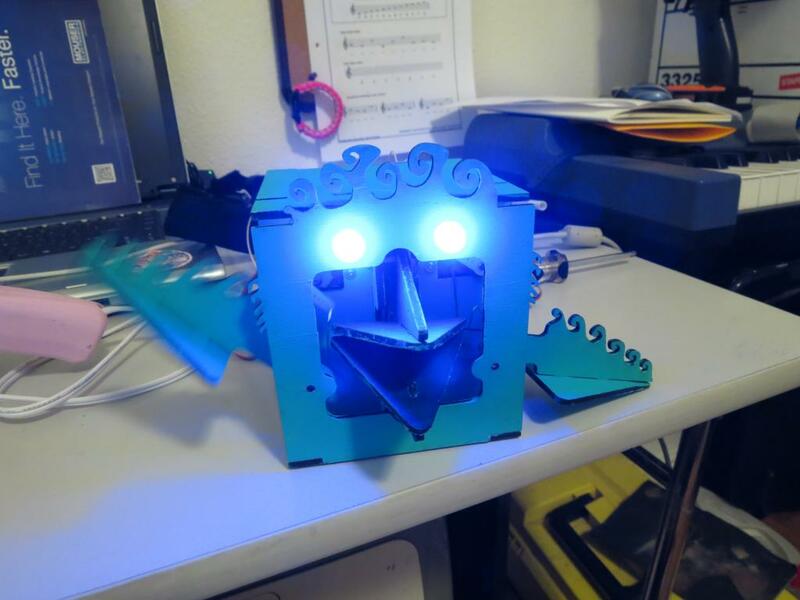 Read more about RoboBrrd to the Rescue! 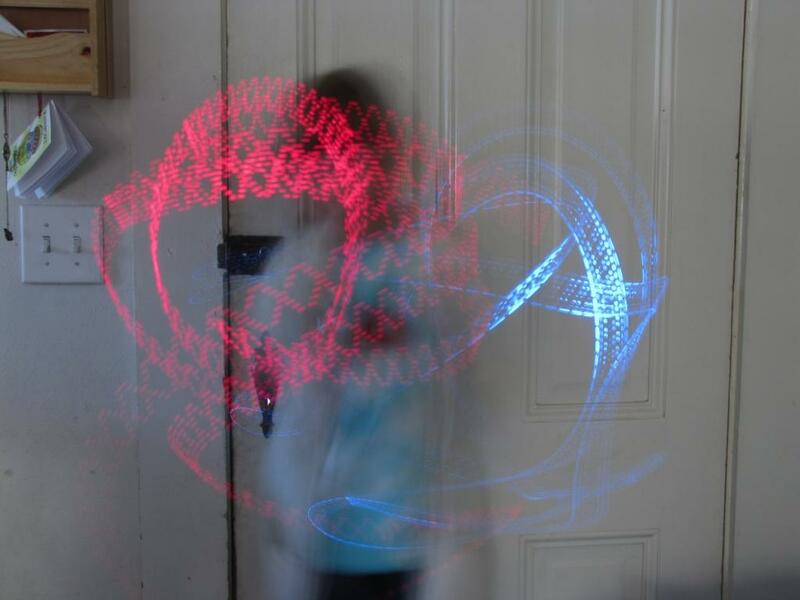 Not just because I got to solder three kits, but I got to draw some fun patterns and do some new camera experiments. And yes, that is my camera in the show. 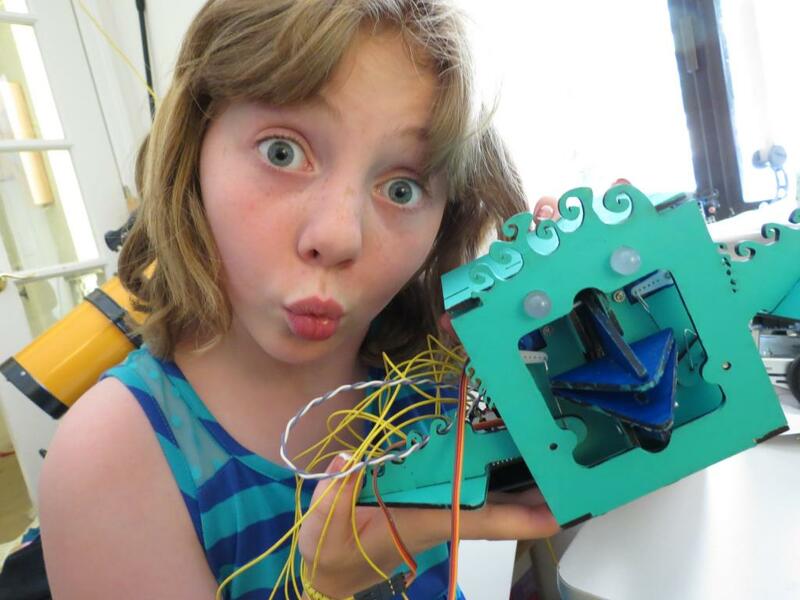 Head over to the Maker Shed and pick yourself up a few, then maybe build it with your daughter/little brother/sister/grandpa/loved one... If anything, you're getting out there and learning, and that's one of the most important parts. PS-- Oh yea! Don't forget to try out my dad's MiniPOV helper app.. You can use it to help make graphics for your MiniPOV, or you can just make something and save it for others to see. Click here to give it a go! 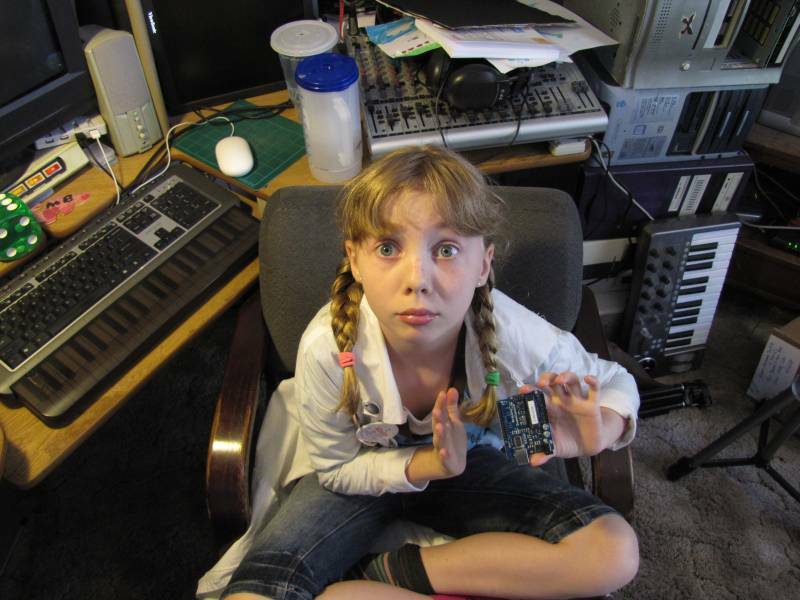 I show you how to build two super simple projects for Arduino with code I helped write! A Super Simple Strobe for looking at things in slow motion, and the Randomly Influenced Finger Flute (or, the RIFF). 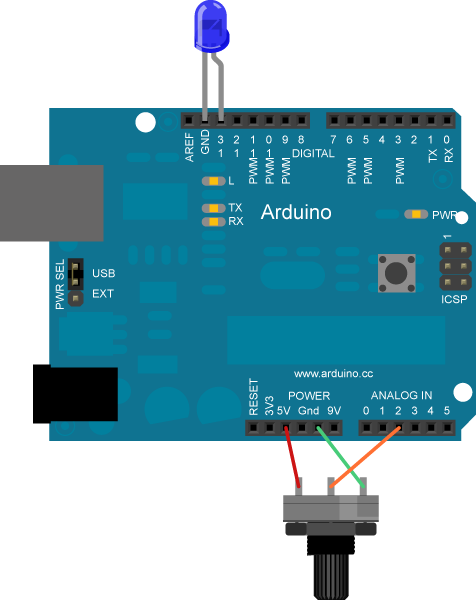 And with the help of our electronic puppet friends, we explore how the Arduino does some of it's magic. It was a blast to make and I hope you have a blast watching it. Let me know what you think in the comments. 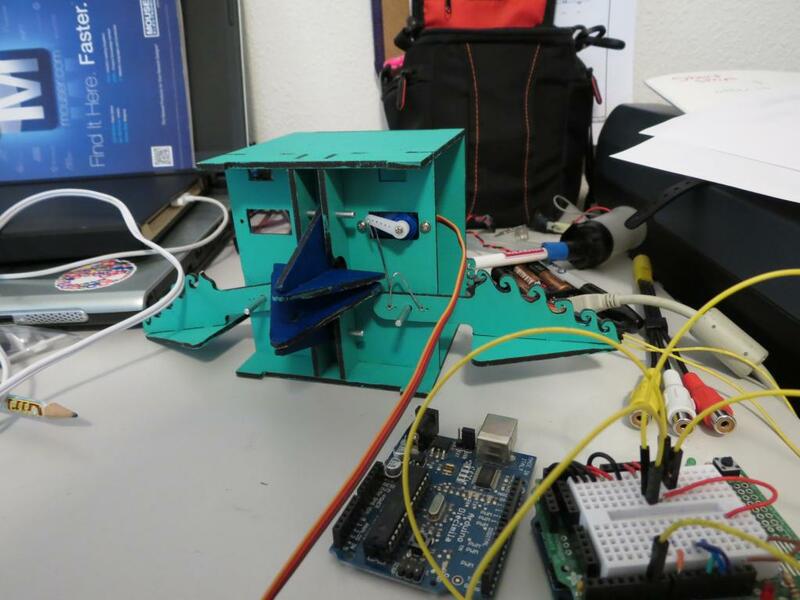 The Super Simple Adjustable Strobe for Arduino will allow you to stop time! Ok, not really, but it will let you see things that move really fast like fans and water droplets. By timing the flashing LED to turn on at the exact time that the moving thing happens to be in the same position it was in the last time the LED was on, it makes the subject look motionless! This project is less than perfect for stopping things in their tracks, but it'll get you started and experimenting in no time. All it takes is a bright LED and a potentiometer! And if you're feeling really adventurous, fork the code on github and add your own features! Be sure and check out Nate True's Time Fountain for a great example of a cool home use for stroboscopes.